Apple is currently working on an initiative that could see iOS apps working on macOS devices and vice-versa. The development kit for universal apps could be out as early as this year. The announcement for the upcoming initiative is expected to happen in June 2019 at the WWDC. 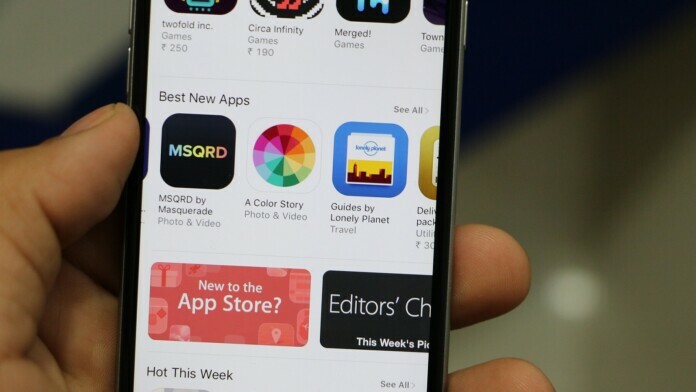 Developers will soon be able to create apps that work on iPhones, iPads and Mac devices soon. According to a report by Bloomberg, Apple is taking a new initiative dubbed “Marzipan” which will go into effect by 2021. Developers will need to build an app only once and it will work across all Apple devices. Apple is reportedly set to release a new software development kit as early as June 2019 at the WWDC. The company will allow iPad apps to be ported to Mac devices. The company had previewed the software last year at the developers’ conference in 2018. However, with some improvements that are being worked on the apps can be ported across Apple’s ecosystem with ease. With Apple known for previewing major changes to iOS or macOS at the WWDC in June every year, we can expect the tech giant to make an announcement soon. Even though the app will cut down development time drastically, developers will still need to submit the apps for iOS and macOS separately. They will be approved if they meet the App Store’s guidelines for each platform. The development kit will be restricted to iPad apps only for the time being with the ability to port iPhone apps set to come in 2020. Reports surrounding universal apps first appeared in 2017 and they were confirmed only last year. However, the tech giant has indicated that it will not be merging iOS and macOS into a single system. Transitioning apps across all devices could be made even easier with Apple reported being making its own chips for its Mac lineup in the near future. Macs currently use Intel chips while iPhones and iPads use the company’s own A-series processors. What do you think about Apple’s decision to introduce universal apps? Let us know in the comments below and don’t hesitate to do the same on our socials, on Facebook and Twitter.